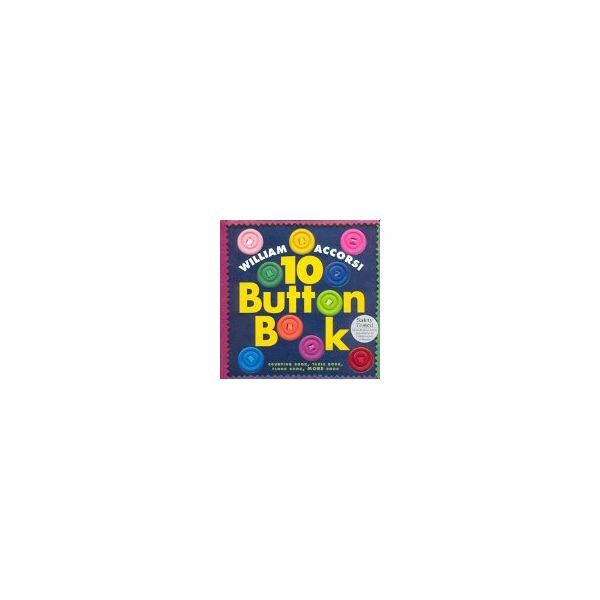 Introduce this theme for preschool students by reading "10 Button Book" by William Accorsi. This book is a counting book where each page not only names a new number but also shows rhyming words. While reading the book ask children to count along as you go from "One Button Billy" up to "Ten Buttons on His Nose". Have them feel the felt pages–what does it feel like? Ask them to choose their favorite color button to use–why is it their favorite? The book's manufacturer states it has been safety tested for children, as there are small parts involved. Teacher will need to collect various buttons beforehand for this part of the lesson. For the color sorting activities collect various colored buttons. For the size sorting activity collect various sizes. The teacher should make sure you have at least one match for each size or colors–or these sorting activities will not work. Each child should get six buttons, which include two different colors. For example, the student will have three red buttons and three black buttons. Give each student a small cup with the buttons so buttons will keep safe from getting lost. Preschool students will now sort the buttons according to color. The sorting can take place on their desk. The teacher should walk around to ensure that each child is sorting correctly. Ask children why they sorted the way they did and allow them to explain. This allows them to summarize the meaning of sorting. Each child will now be given six buttons of two different sizes. For example three small (same size) and three large (same size). Just like with the colors, the children will now sort by various shapes. For a trickier sorting activity include similar colors–this can be done after a few basic rounds of sorting, allowing for a more advanced assessment. Not only does the sorting activities allow for practice of basic math concepts but also allows for children to practice fine motor skills. This activity will have the result of a pretty button ornament or decoration for the child to bring home. This is a simple lacing activity with a creative outcome. Set up the children to work in groups. Set out a bowl of buttons for each group, which would include various colors and sizes. It may be preferable to use two holed buttons allowing for easier lacing. Each child will now get one piece of yarn. The child will take the first button and the yarn then they will slip the yarn through both holes on the first button-as shown below in the diagram. The child will continue lacing buttons until they have approximately 6-10 buttons. There should be enough yarn at the end to tie a knot and make a loop for hanging. For extra evaluation with this theme for preschool, have children talk about the "10 Button Book" as well as the activities they took part in.